Well- beginning of February and where has January Gone ! Firstly can I thank everybody for their kind words of encouragement as I embark upon my proud voyage as Captain of our wonderful club. The cards and emails I have received have been inspiring and I hope that I can do justice to the honour which has been bestowed upon me. With regard to the Charities I would like to help this Year I intend to continue our Clubs support for “NECI”, “Lagos Orphans “ and the “Dogs and Donkey Sanctuary” and I hope that we can continue with the super contributions that you have all raised over the past few years. I would like yet again to thank Rui Baptista for his generous and continual support and once again he has agreed to pay and supply our Interclub Shirts. 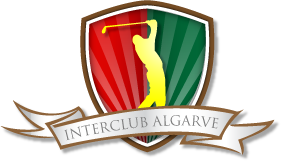 Talking of Interclub our first league game is away to Palmares on 14th February and we wish our Team all the best for this and every fixture thereafter. As some of you will be aware I have decided to delegate responsibility of the Interclub Captaincy to Michael Abbott and I know that he will pull out all the stops to make this a successful year and hopefully it will be 3rd Time Lucky for Mikey ! As this is our first month with the new Rules I’m sure that we are all finding our feet with them but my initial impression and general reaction is overwhelmingly positive so let’s all learn them, embrace them, and this time next year we won’t even remember there were “Old Rules” !!!! For all of you regular Golfers I’m sure that you will agree that the course has been in fantastic condition all year and has weathered particularly well over the Winter Period. It is my intention to organise a “Greenkeepers Fundraiser Day” before Easter in order that we can all show our appreciation for their sterling work over and above the call of their duties- and I sincerely hope that we can raise a sensible amount in order to reflect the tremendous work that Nelson and his team have done for all of us. Lastly as mentioned at Captains Changeover I have agreed a Super Deal with Monte Rei Golf Course on the Eastern Algarve for my Captains Away Trip. Whilst I fully appreciate that it is slightly more expensive than the norm the reason for organising so early is that we can all put a few Euros aside over the next 9 months to save up for such a special venue. Its as good a golf course as you will play anywhere in Europe and I have attached a brief overview below for your perusal. • 2 nights accommodation with rooms throughout our Luxury Linked Villas. • Daily Breakfast and one 3 Course Dinner (excluding drinks). • 18 holes of golf per day at Monte Rei enjoying the full renowned guest experience: shared golf buggy with GPS & bottled waters, course guide, access to the practice facilities for one hour.